You cringe when you see your dental cleaning and checkup on your calendar for the week. It feels like you just visited your dentist, and everything was fine. Your teeth don’t hurt currently, so why do you need to go back to the dentist again already? Your dentist in Lewisville explains why dental visits every six months are so important. Unlike your medical doctor, who sees you when you’re sick or injured, your dentist is all about prevention. With regular dental visits every six months, your dentist can help you avoid issues like tooth decay and gum disease before they even start and cause damage to your teeth and mouth. When you wait to visit the dentist until your teeth hurt, it’s likely that damage has already been done, as many dental issues don’t cause much pain in the beginning. What Happens at My Dental Checkups? During your dental checkup, your dentist will screen you for issues like gum disease, tooth decay, cavities, and oral cancer. Your dentist can actually detect these concerns much earlier than you can, which allows you to utilize less invasive and costly treatment procedures to restore your oral health. During your teeth cleaning, your hygienist will remove the plaque buildup that causes concerns like tooth decay and gum disease. 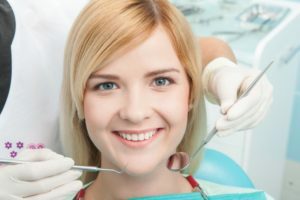 Your hygienist can also give you tips for making the most of your home care routine with proper brushing and flossing techniques. It has been found that there is a profound link between your periodontal health and your overall health, making it even more important to be proactive about your oral health. Studies show that the bacteria that causes gum disease has been found contributing to other issues in the body such as diabetes, heart disease, and high blood pressure. And vice versa, patients with these health concerns are more likely to develop gum disease. This is because bacteria can enter the bloodstream and travel to other areas of the body. By taking good care of your periodontal health, you are also looking out for your overall health and well-being. So, if it’s time to schedule your next dental checkup, please be sure to give your dentist in Lewisville a call today. Dr. Christopher C. Capehart is a Texas native who offer patients in Lewisville exceptional dental care combined with excellent service. Since his belief is that everyone should smile with confidence, he offers a wide range of services to meet his patients needs under one roof. Our patients love the personalized care they receive when they choose Capehart Dental as their dental home. Would you like to learn more about Capehart Dental? We can be reached through our website or by calling 972-436-1325.